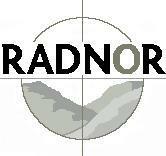 Radnor is a privately owned UK-based organisation whose capability is centred on a multi-disciplinary range complex providing testing and evaluation. Core competencies are weapons, ordnance, munitions and explosives and their effects. Radnor has a 50kg HT 1 limit, and the ability to manufacture and prototype. Subject matter expertise is at the core of Radnor's capability. Our personnel offer experience from both a defence industry and military perspective, and an in-depth understanding of energetic materials, current weapons systems, ballistics and armoured vehicle survivability. We can conduct the full suite of NATO and UN series trials as well as complex weapons trials, research and development. Our capability is augmented by comprehensive facilities and equipment required to fully instrument trials, and gather data for evaluation and modelling. Radnor is accredited to ISO 9001-2008 and ISO 14001 and, is a Ministry of Defence (UK) supplier and an approved MoD training range. Raytheon Company, with 2009 sales of $25 billion, is a technology and innovation leader specialising in defence, homeland security and other government markets throughout the world. With a history of innovation spanning 88 years, Raytheon provides state-of-the-art electronics, mission systems integration and other capabilities in the areas of sensing; effects; and command, control, communications and intelligence systems, as well as a broad range of mission support services. With headquarters in Waltham, Mass., Raytheon employs 75,000 people worldwide. In the U.K., the company is a trusted supplier to the national security, defence, government and commercial markets. Raytheons U.K. focus areas include Intelligence Reconnaissance and Surveillance, Border Security, Network-Enabled Capabilities, Precision Effects, Mission Support and Global Training Solutions. From advanced defence services to national security systems, Raytheon delivers proven and innovative technology that helps keep our nations forces safe and plays a critical role in our countrys safety and security. Raytheons reputation throughout the U.K. has been proven throughout more than 100 years of designing and developing advanced technology in Britain, with operating sites in England, Wales, and Scotland. RDDS Avionics designs, manufactures and maintains avionics and electronic equipment for all civil and military aerospace, marine and land vehicle applications including displays, video management, mission computing, command and control and software. Reaction Engines Ltd - Pioneering the next generation of hypersonic and space access propulsion. Reaction Engines is a UK-based company formed in 1989 to design and develop the technologies needed for a new class of innovative hypersonic propulsion system - the Synergetic Air-Breathing Rocket Engine (SABRE). We have achieved a breakthrough in aerospace engine technology by developing ultra-lightweight heat exchangers. These are capable of cooling airstreams from over 1,000°C to -150°C in less than 1/20th of a second with world leading compactness and low weight. Developed for our high speed SABRE engines, the heat exchangers stop engine components from overheating at high flight speeds, opening up a new era of high speed flight. SABRE class engines will enable aircraft to fly over five times the speed of sound in the atmosphere and allow space launch vehicles to be built that will radically improve the affordability and responsiveness of access to space. We are focused on delivering a ground based demonstration of the SABRE engine, an event as significant as the first ground test of the jet engine. We are supported by a £60m funding commitment from the UK Government via the UK Space Agency and the European Space Agency and we have had a recent £20.6m investment by BAE Systems. Manufacturing Solutions Division – Reaction Engines are delighted to confirm their continued investment in manufacturing capabilities across the group and announce that from the 1st January 2018, Brite Precision and Crossman Engineering will be consolidating to form one manufacturing entity under the name Reaction Engines Manufacturing Solutions Division. CNC Precision Aerospace company providing Engineering Services, Project Management, CNC Multi Axis, Grinding, Thread Rolling/Microstructure Testing and Sub-Assembly: Airbus, Bombardier, Leonardo (Vital Parts), GE Aviation, Rolls Royce Marine Approved. Redscan is an award-winning provider of managed security services, specialising in threat detection and response. Possessing a deep knowledge of offensive security, Redscan’s experts are among the most qualified in the industry, working as an extension of clients’ in-house resources to expose and address vulnerabilities plus swiftly identify and shut down breaches. Services offered include: CREST accredited Penetration Testing, Red Team Operations and Managed Detection and Response. By understanding how attackers operate, leveraging cutting-edge threat intelligence, and offering clear and actionable advice, Redscan’s cyber security professionals can be trusted to provide the high-quality insight needed to successfully mitigate information security risk and achieve compliance standards. The choice of industry leaders, Redscan boasts excellent customer satisfaction and retention levels. Security certifications held by the team include: CREST CRT, CCT APP, CCT INF, CC SAS, CISSP, CEH, Security+, CISM, OSCP, SFCP, CCNA, and ISSAP. Reed Smith is a global law firm with over 1,800 lawyers in 25 offices throughout Europe, the Middle East, Asia and the United States. We have worked for many years with some of the largest defence, aerospace, security and secure communications companies providing legal and experience-based business support for their international operations. We are familiar with the special compliance challenges facing companies that deal with sensitive technologies and government customers when operating in both domestic and international markets. We combine our extensive experience of the defence, aerospace, communications and security sectors with specialist expertise in U.S., European and other international procurement rules, export control regulation, anti-corruption laws, rules governing the handling of classified information and other compliance matters and a wealth of local knowledge of law and business practice in the United States, Europe, the Middle East and China. Regester Larkin is an international consultancy specialising in crisis, issues and reputation management. We have the world’s largest fully dedicated team of consultants in this specialist discipline and are internationally recognised as leading innovators and authors. We advise and support our clients - blue chip multinationals and high profile organisations from a variety of sectors including aerospace, defence and maritime - as they prepare for, respond top or recover from crisis and as they predict, prevent or resolve strategic issues. Renishaw is one of the world's leading engineering and scientific technology companies, with expertise in precision measurement, additive manufacturing and healthcare. The company supplies products and services used in applications as diverse as jet engine and wind turbine manufacture, through to dentistry and brain surgery. It is also a world leader in the field of additive manufacturing (also referred to as 3D printing), where it is the only UK business that designs and makes industrial machines which ‘print' parts from metal powder. The Renishaw Group currently has more than 70 offices in 35 countries, with over 4,000 employees, of which 2,700 people are employed within the UK. The majority of the company's R&D and manufacturing is carried out in the UK and for the year ended June 2016 Renishaw achieved sales of £436.6 million of which 95% was due to exports. The company's largest markets are China, USA, Germany and Japan. Working collaboratively with our aviation customers, we design and manufacture a wide range of interior fabrics, from all types of seating and wall coverings to curtains and blinds. At Replin by Hainsworth our knowledge of wool and modern fibres allows us to create fabrics that combine the very best materials with fine craftsmanship, innovation and industry leading techniques. From a strong technological foundation, our industry leading design team work collaboratively with our clients producing intelligent bespoke collections which are precision-engineered to create durable fabrics that meet the exacting requirements of our aviation client partners. Our on-site facilities at our Mill in West Yorkshire, England and team of 180 employees allow us to carry out quality testing from concept to completion, ensuring we control a seamless process with absolute attention to detail from initial brief, to design, production, delivery and after sales support. 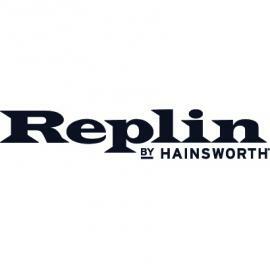 At Replin by Hainsworth all our interior fabrics meet and surpass international industry standards and are rigorously tested in our UKAS accredited laboratory to ensure consistency at all stages of the manufacturing process. Resonate Testing is a wholly owned subsidiary of The Nacelle Group and focuses on three cornerstones of testing: Vibration testing, Environmental testing and Fire testing. With a 6000sqft facility of purpose-built test space, Resonate Testing can meet testing needs in the industry by offering locally or geographically diverse customers impressive capabilities coupled with a fast turnaround model. Restrata is a leading, global provider of integrated risk mitigation solutions to multinational corporations, governments, non-governmental organisations and private individuals. Within the UK we provide threat and risk assessment, technical security design services, project management and turnkey technical security solutions to a number of police forces, councils, private commercial estates. We also provide risk assessments for individuals such as high net worth persons and key executives. Revision Military (UK) is a recently established subsidiary of Revision Military Inc. The company develops and supplies personal protective equipment to military, law enforcement, emergency service and sporting clients in 74 countries, in particular protective and ballistic head and eye systems, body armour solutions and soldier and vehicle power solutions. The UK subsidiary has been set up to capitalise on our success in winning the UK Army and Metropolitan Police head systems competitions and other competitions in Europe and the Middle East with a view to expanding our presence in the UK as a global hub for the company to provide testing and support facilities, contract servicing and sustainment activity and, in time, manufacturing capability to support UK, European, Middle Eastern and African customers..
RHE Limited is major suppliers of new and used aircraft jacks and other associated ground support equipment. We have a purpose built testing centre and workshop for overhauling, repairing and testing of aircraft jacks. RHE Limited has over 25 years in the aircraft ground support equipment industry - maintaining equipment for major companies such as: Monarch Aircraft Engineering, SR Technics, Britannia Airways, Airbus Industries, TNT Aviation, Ryanair, Qantas, FR Aviation, Marshall Aerospace of Cambridge, Thales Simulation as well as numerous small airlines and companies. Recently, we undertook a contract for Middle East Airlines (MEA) at their headquarters in Beirut, Lebanon. This entailed the on-site refurbishment of their existing jacks as well as training them in th euse of the test equipment they purchased - more details and images here. We pride ourselves on the quality and efficiency of service provided and have achieved ISO9001:2000 certification as a reflection of this. We care about our customers and our support service is second to none. RHEATECH is a Space Engineering company that offers knowledge-based services, system engineering services, system solutions and software products to the international space community. RHEATECH Ltd is also active in the space security industry and offers Cyber-Range Services and Solutions.